The airfield at Ludford Magna was built around the village of the same name, with construction commencing June 1942. 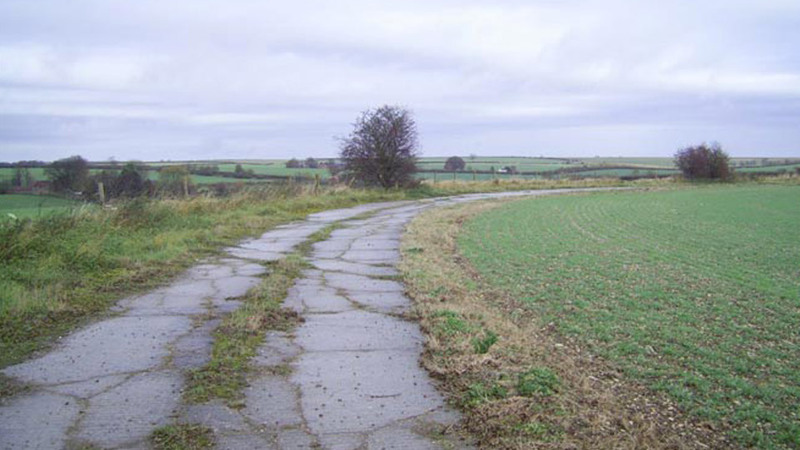 The actual airfield was south of the main road (now the A631) which runs through the village. Opened in June 1943 as a Class ‘A’ bomber airfield in 1 Group, Ludford Magna had the usual three intersecting runways and perimeter-track. (Pic: Allen Walker). The airfield had seven hangars, six T2s and a B1. The additional four T2s reflected its status as a parent airfield of 14 Base having both Faldingworth and Wickenby as satellites. The main technical site was to the west, with an additional site near the four T2 hangars which formed the 14 Base technical area across the B1225. The communal and living accommodation was north of the A631. The bomb stores were located south-east of the airfield towards Girsby Lane. Ludford Magna was also equipped with FIDO fog dispersal equipment. The only operational unit based at the station was 101 Squadron, one of Bomber Command’s special units conducting radio counter-measures. Its Lancasters were equipped with transmitting equipment and were characterised by having two large masts on the upper fuselage and a smaller one below the nose. The Lancasters of the squadron carried a German-speaking eighth crew member , who manned the specialist counter-measures equipment installed on most 101 Squadron aircraft. His job was to identify the German Fighter controllers and the radio frequency they were using, and then jam the signal. This specialist role ensured that some aircraft from the unit would fly on every raid, which resulted in a high rate of attrition to the squadron. At the end of the war the station was closed to flying and was used for storage whilst on Care and Maintenance. The site was reused as a missile base between 1959-63 following which, the land and surviving buildings were sold during 1964-65. The shape of the airfield is still distinctive from the air. On the ground, the perimeter track is almost intact and parts of the two subsidiary runways exist as reduced-width tracks. On the airfield itself, the operations block and motor transport (MT) shed remain but little else survives. north of the A631, several structures from the communal and accommodation sites survive in a diverse range of uses. 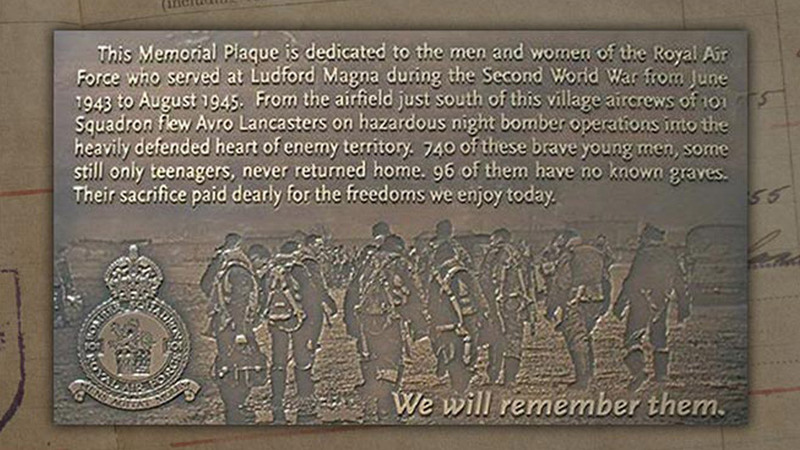 To the east of Ludford Magna village alongside the A632 stands an engraved stone memorial and a plaque on the wall of the White Hart public house commemorates the aircrews.